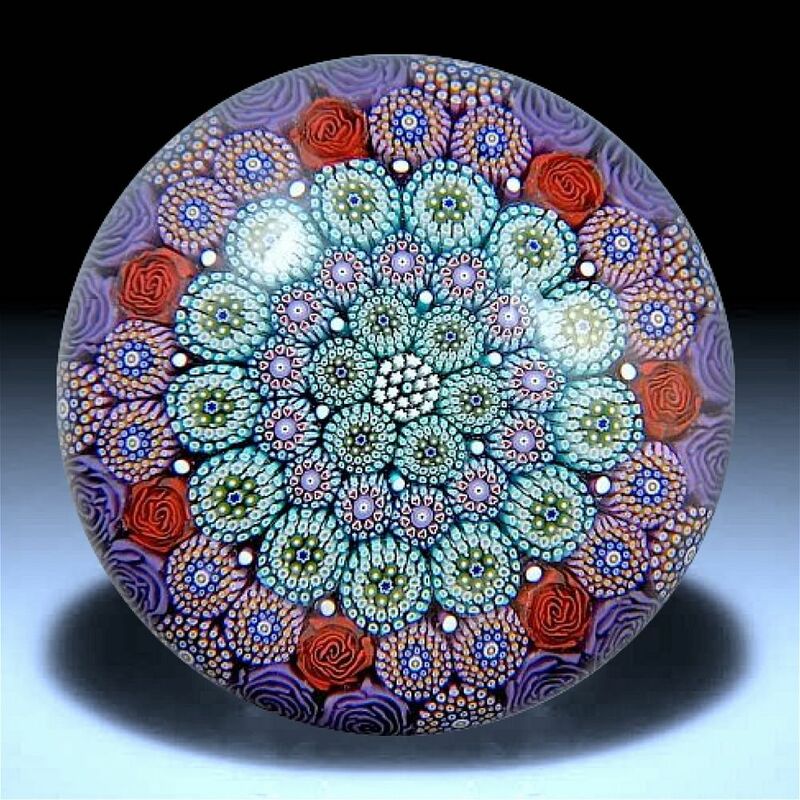 This wonderful limited edition millefiori paperweight was made by Mike Hunter for Twists Glass in 2014. The centre cane is small stars. The canes in the first row are a variation of the canes in the third row and both sets of canes have star centres. The canes in the third rows have red hearts and there are 7 red rose canes in the fourth row and 14 purple rose canes in the outer garland. Scratch signed "M Hunter Twists 14 1 of 1" on the flat polished base it has the Twists Glass Studio sticker. Presented in a white presentation box.